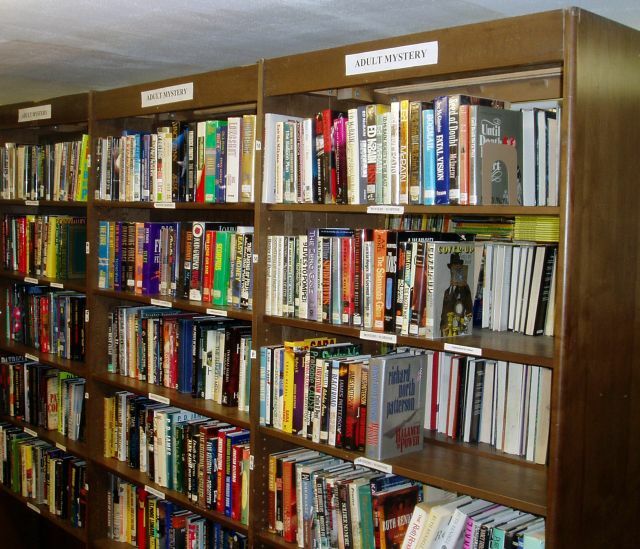 BROWN PUBLIC LIBRARY USED BOOK STORE has a wonderful collection of gently used books for both adults and children. Fiction, biography, history, philosopy, art--just about every subject you can think of. You will also find audio cassettes, CDs and DVDs. 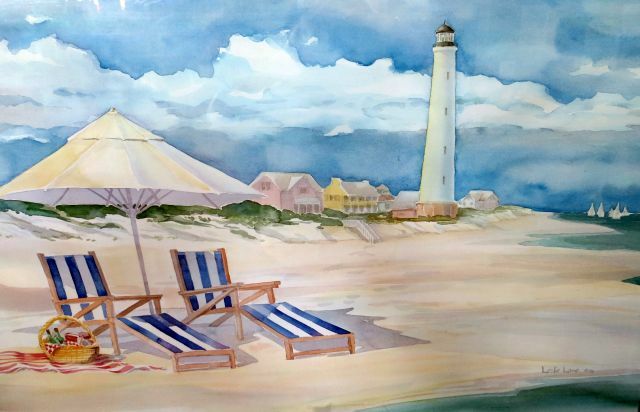 New items are added regularly. Purchases make you eligible for a monthly prize drawing. The Book Store is open whenever the library is open. All proceeds help to support the Brown Public Library. Pricing: Adult and Young Adult: Hardcover: $1.00; Large Format Paperback .75. Mass Market Paperback .50. Children's Books: Hardcover .50; Softcover .25. Audiobooks: on CD $1.00; on Cassette .50. Video: DVD $1.00; VHS Free. Sets as marked. 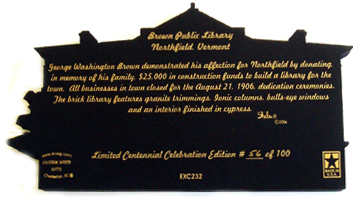 LIMITED EDITION, NUMBERED REPLICAS of the Brown Public Library are available in the Library. One hundred replicas are being sold for $20.00 each. 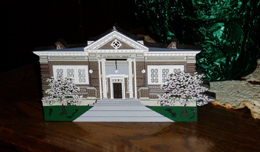 These 4 1/2 by 8 inch wood replicas are wonderful mementos of the celebration and rededication of the Brown Public Library. 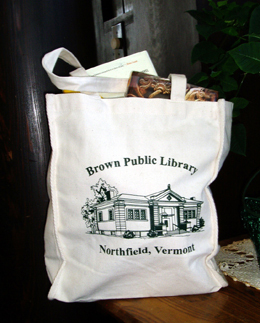 BPL BOOK BAG a handy and study white cloth bag (approx. 12" x 13" x 6") with two handles and a picture of the library in green -- $7.00. ITEMS FEATURED IN PAST RAFFLES: At various times during the year the library holds fund raising events, such as raffles.